I recently had the opportunity to work with the Town of Danville’s Clean Water Program Coordinator, Chris McCann and 12 Boy Scouts from Troop 36 to replace curb markers above storm drains. Dumping anything into storm drains is not just wrong, it’s illegal. Storm water is often considered a nuisance because it mobilizes pollutants such as motor oil and trash. Pollutants such as oil, paint, pesticides, fertilizers, and soaps contaminate storm water and cause harm to our ecosystem. This affects ocean water quality and marine life. Storm drain marking is an established method to increase community awareness about non-point source pollution. The Town of Danville has an established program to replace the storm drain markers and increase community awareness to educate the public not to dump pollution into our streets and waterways. Unlike the water that flows down the drains inside your home which goes to sewage treatment facilities, the storm drain system is completely separate; water in the storm drain receive no treatment or filtering process. This means that any pollution that gets washed into the storm drains go directly to our creeks here in Danville and ultimately the Bay. Keep trash and chemicals off the streets. 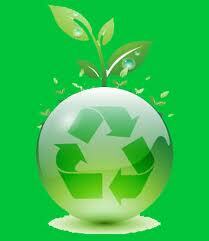 That means picking up litter when you see it, even if it’s not your own, and avoiding the use of harsh chemicals. Make sure your car is in good working order so that the oil and gas doesn’t drip onto the pavement and eventually into the drain. Pick up after your dog. You don’t want to swim in its waste the next time you go to the beach! Be a community advocate. Report full or clogged storm drains to your department of public works. Don’t wash your car at home because the soapy suds join a polluted mix of grime, metals, petroleum products and chemicals that flow into the street, then into the drain which flow into our creeks and eventually the bay and ocean. Do take your car to a commercial location that has a drain that flows into a treatment facility where the water is cleaned before it is released. Don’t water garden and lawns with the sprinklers running too long or spraying too far, the extra water can carry pollutants like fertilizers and animal waste into the drain. Do adjust your sprinklers so they work properly and only water areas that need it. Don’t hose your concrete paths because the water can pick up other trash that flow into the drain. Do use a broom (which is also a wise choice during our drought). Here’s some other good storm water management ideas to consider. In cities with lots of concrete, 75% of the rainwater runs into the sewer instead of being absorbed by the ground as it would in a natural environment. Counter this by using rain barrels to divert water from storm drains therefore, reducing pollutants. Or use rain chains to direct water to your garden using water wisely and keeping it out of our storm drains—saving you money and helping with the drought. Our State and regional water board support projects that include low impact development designs that capture water where it falls. For example, in new developments or in re-landscaping using trees and plants near sidewalks and roads work to soak up water into the ground to feed living things, instead of having the water roll of the pavement into the street and drains. By keeping water on your property and preventing runoff, you’ll be doing your favorite beach a favor too. The less water that gets into our storm drain system, the cleaner our beaches stay. If you sign before September 15th, 2016 you will have a chance to win a Starbucks gift card. Marco Conci, a gold palm Eagle Scout with Troop 36, is a Junior at Monte Vista High School. He is working toward his Hornaday Silver Award, which he will earn after completing four conservation projects. 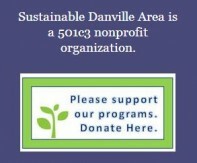 This entry was posted in Danville, Sustainable Communities, TIP OF THE MONTH BLOG, Uncategorized and tagged clean water, sustainable danville area, tips for saving water, water conservation, Water savings. Bookmark the permalink.